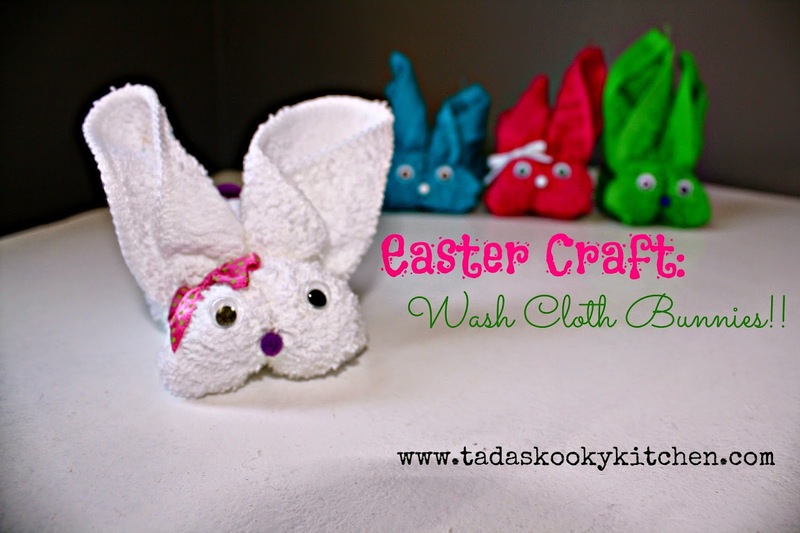 Tada's Kooky Kitchen: Easter Craft: Wash Cloth Bunnies!! Easter Craft: Wash Cloth Bunnies!! Holidays have been coming and going faster each year. I want to decorate everything and cook a lot of different meals and do crafts and activities with my kids. I have lists upon lists and it gets overwhelming so in the end nothing gets done! It's so frustrating!! So for Easter this year (its in less than a week!! Are you ready??) I decided that instead of getting caught up in all the parties and crafts and millions of things on pinterest to do, I would simplify my list and in the end get more done.. I hope that makes sense. All that is left after those 3 things is to decide on Food... and what traditions I want to do with my family. But the traditions I wanted to do with my family were hard for me to decide on... my parents always did so many fun things for us on holidays but there are also so many new things to do. I didn't want to get overwhelmed at every holiday but I wanted something for my young children to look forward to and remember every year. Going to the Easter egg hunt is a given and so is coloring eggs and in my husbands family if you are out camping you do and egg roll. After that I couldn't decide. But then.... I found this little guy. This sad little bunny is from my childhood. It's at least 20 years old, maybe more. 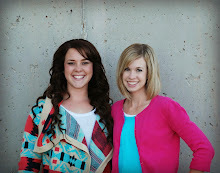 I remember during Conference weekend we usually had aunts and uncles and cousins (lots of them) come a visit. When my Aunt Donna would come, my Mom and my Aunt would set up this craft for all the kids to do. It was my favorite Easter Craft and I can't believe I almost forgot about it. Because it is such a fond memory of mine I decided this is going to make my Easter Tradition list. Start by laying your wash cloth down with the underside up. fold it in half at the diagonal. This is what the bunny's tummy will look like. And this is what the bunny's back looks like. Lay the bunny on its tummy and fold his "head" and ears onto his back. Then with your rubber band, secure around his head. Hot glue some googly eyes on it. Then glue the smaller pom pom for the nose..
And there you have it! Boy and girl bunnies.. for a simple, memorable tradition.